Read to your heart's content here! The cubus libraries stand out through their exquisite elements. 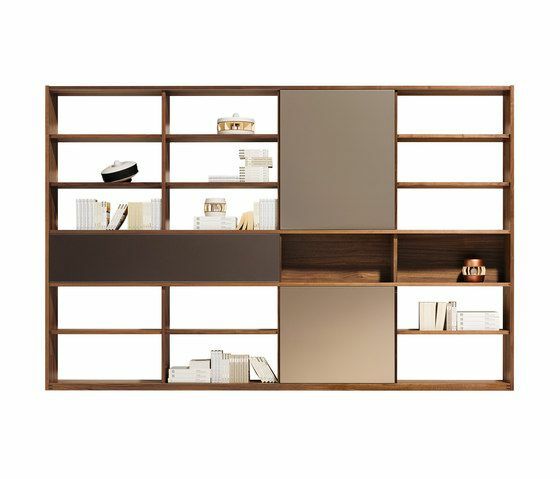 Such as: - Open shelf elements in various heights, widths and depths - Different fronts in natural wood or coloured glass - Numerous handle types or doors with touch fittings - Clever combinations with the cubus element system - Natural wood or clear glass shelves - Drawers, large drawers and flaps – can be fitted with media partitioning and CD inserts - Sliding doors in natural wood or coloured glass - Batten luminares, LED spotlights or drawer lighting create interesting highlights Result: your individually made-to-measure TEAM 7 library in natural wood, planned by your TEAM 7 furnishing adviser.